August 28, 2017, Rybinsk. 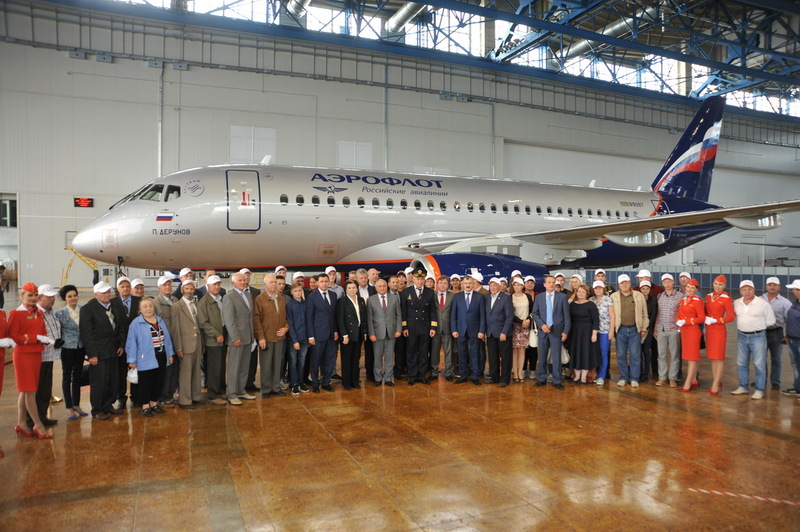 – On August 26, 2017 there was a presentation of the Sukhoi Superjet 100 aircraft named after Pavel F. Derunov in Zhukovsky. It is the first airliner from a new batch which numbers 20 airborne vehicles of this type. The official event took place in SCAC’s delivery centre in Zhukovsky. August 04, 2017, Rybinsk. PJSC UEC-Saturn's XXXIV Youth (summer) meeting ended with victory of "Nasledniki" team (the first place, the Andrey Savin Cup and the Sergey Lobastov Cup). Also, "Nanoezhiki" team (the 2nd place) and "SV-Show" (the 3rd place) were among the best teams. United Engine Corporation (a Rostec State Corporation company) has been certified successfully in the certification centre Rostec-Certificat and has proved the compliance of its quality management system to the requirements of GOST R ISO 9001-2015 and GOST RV 0015-002-2012 as applied to development, manufacture, tests, installation, assembly, maintenance, repair, disposal, and sales of products. Rybinsk UEC-Saturn (belonging to United Engine Corporation of Rostec State Corporation) has become the organization managing Omsk Engine Design Office. Thus the holding is combining the development and manufacture of Russian small-size gas-turbine engines for drones. 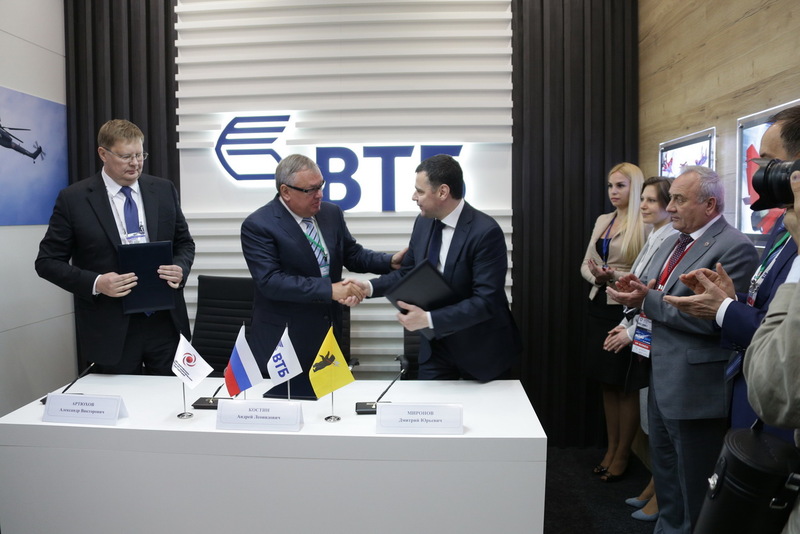 United Engine Corporation (a Rostec State Corporation company) and VTB Bank have concluded an agreement which includes but is not limited to the participation of the bank in financing the program of development of the first Russian high-capacity power-generating gas-turbine engine GTD-110M and localization of the production of high-pressure parts for SaM146 engines installed on Sukhoi Superjet 100 (SSJ100) airliners in Russia. 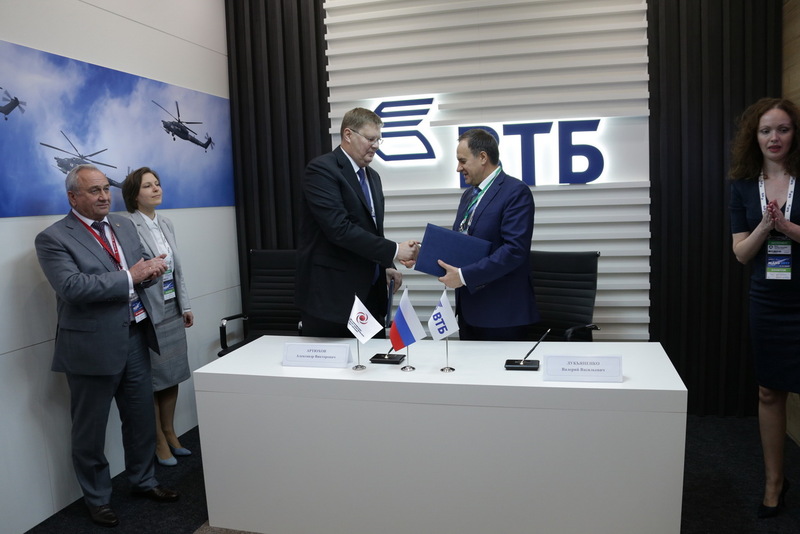 Within the framework of the International Airshow MAKS-2017 in Zhukovsky, United Engine Corporation, VTB Bank, and the Government of the Yaroslavl Region have entered into a collaboration agreement in order to implement the project “Production-type test site Saturn Smart factory». Development of a critical baseline technology of ceramic composite materials (CCM) application for gas-turbine aircraft engines parts has been launched by Rybinsk PJSC UEC-Saturn (a United Engine Corporation company of Rostec State Corporation). PJSC UEC-Saturn (a part of United Engine Corporation of Rostec State Corporation Company) is testing experimental prototypes of parts made of polymer composite materials (PCM) for the Russian-French SaM146 engine which powers the Sukhoi Superjet 100 aircraft (SSJ100). RVC and UEC-Saturn (a part of United Engine Corporation (JSC) of State Corporation Company Rostec) are launching a permanent startup accelerator of the first Russian test site for high technologies. The test site aimed to try out advanced production solutions is being established by UEC-Saturn within the framework of NTI implementation. It will be the first platform in Russia to test ideas and best practices which will allow Russian companies to switch over to the new production organization concept in future — “Factories of the Future”. Startups will be searched for, examined, and trained on the basis of the largest Russian and Eastern European GenerationS accelerator realized by RVC.